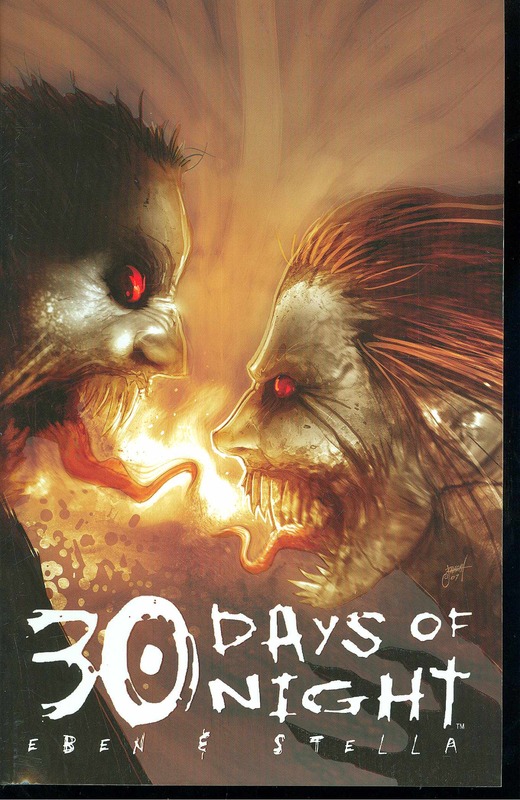 Steve Niles & Kelly Sue DeConnick (w); Justin Randall (a & c) In the waning moments of 30 Days of Night: Dark Days, Stella managed to bring her vampire/husband Eben back from beyond... only he came back hungry. Now, for the first time, see what happened next, in this collection that fills in the black gaps between that tale and Return to Barrow, courtesy of 30 Days co-creator Steve Niles, Kelly Sue DeConnick and artist Justin Randall. .